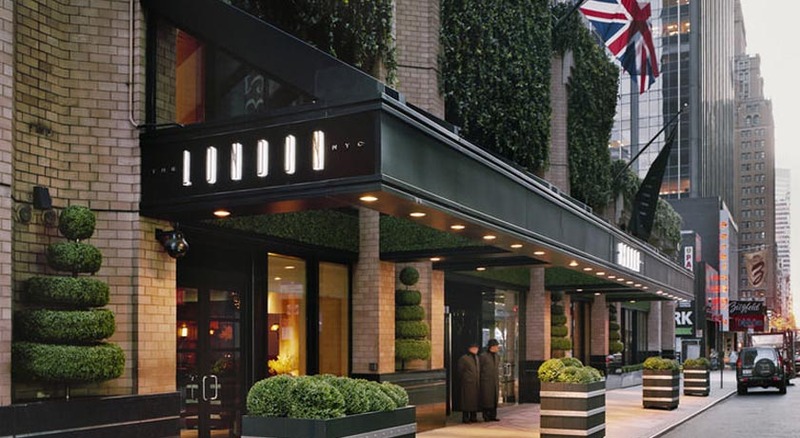 This Midtown Manhattan hotel is located 5 minutes walk from Central Park. It features an on-site bar. Shops along Fifth Avenue are 7 minutes walk away. Suites at this New York hotel are a minimum of 500 square feet and include LCD TVs, complimentary wireless Internet access, and iHome iPod docking stations. Beds offer Fili D'Oro Egyptian-cotton linens. 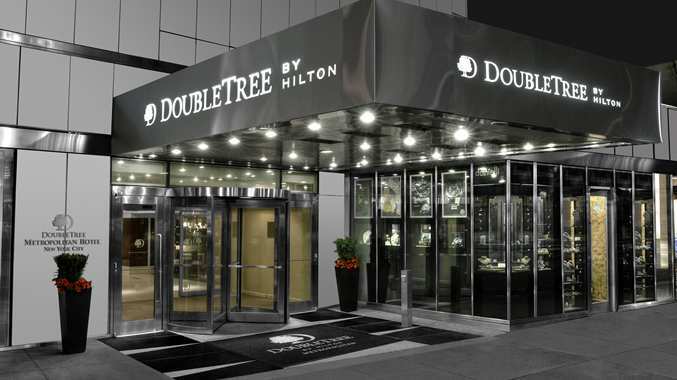 The DoubleTree Hilton Metropolitan is in a central location and is an ideal choice for those visiting New York. 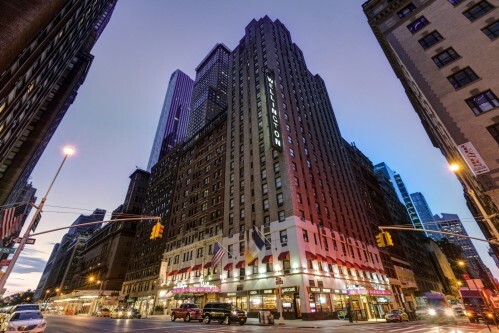 The hotel is just a few metres from Park Avenue, United Nations, Bloomingdale's, Rockerfeller Centre with Central Park, Broadway theatres and Times Square are a short walk or subway journey. Hilton Times Square is pleased to announce the completion of its guest room revitalization project in Spring 2013. Originally built in 2000 and soaring 44 stories above Manhattan, this upscale, full-service landmark hotel is located in the heart of Times Square and is steps from Broadway theaters, lively nightlife, New York City's best shopping and much more. A boutique-style hotel within walking distance of Times Square and the Empire State Building, just a half-mile of Madison Square Garden. 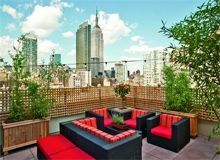 Guests can enjoy views of the Empire State Building from Rare View Rooftop Lounge, the hotel's rooftop bar. 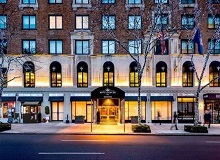 Iberostar 70 Park Avenue is a modern, 4-star boutique hotel situated in New York City's lively Midtown Manhattan sector. Surrounded by the brownstones and breath-taking vistas of Manhattan's Murray Hill neighbourhood, it offers guests luxurious guestrooms and superior amenities. Welcome to the Hotel Beacon NYC, a haven of comfort amid the bustling excitement of New York City. Located on the historic Upper West Side, amid tree-lined streets and landmark buildings, the hotel is a beacon for relaxation. 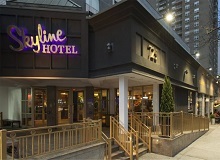 Make the most of your New York City experience at the Skyline Hotel NYC. Relax in comfortable, newly renovated guest rooms and suites while enjoying the central Hells Kitchen neighborhood setting near landmarks like the Jacob Javits Convention Center, Madison Square Garden and Lincoln Center. New York's historic Wellington Hotel has been welcoming guests from around the world for 113 years. 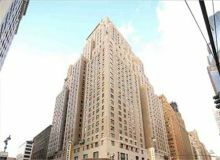 With a superb location near Broadway, Carnegie Hall, Central Park and Rockefeller Center. The Park Cafe, a neighborhood favorite and Molyvos, an award-winning Greek restaurant, and with a friendly, welcoming team, the Wellington is an ideal base for your leisure visits to New York City. One of the most famous New York City hotels rich in history and nostalgia. Opened in 1930 and renovated in 2007, revel in the newly renovated grandeur of this historic hotel. The big, bustling lobby retains original Art Deco fixtures like huge chandeliers and a coffered ceiling. This hotel features comfortable accommodations and convenient services that provide guests a relaxing escape in the heart of Manhattan. Feature 100 percent non smoking guestrooms offering modern decor with flat panel televisions. Whether you are traveling for business or pleasure you will find the hotel services and location the perfect choice. 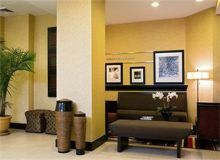 The Hampton Inn on 35th Street blends modern accommodations with affordability--as well as the consistent quality guests expect from a Hampton Inn. 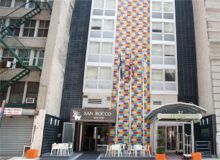 Within one block of the Empire State Building and other Manhattan attractions, the rooms are clean and comfortable. The Hotel Pennsylvania offers great Manhattan sightseeing within walking distance. 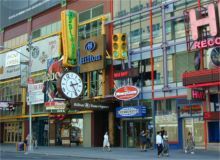 New York City`s major transit hub is across the street and there is great shopping at your doorstep. Broadway shows, unforgettable activities, exciting night-life, and more restaurants than you can count. 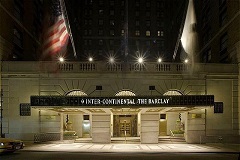 New York`s Hotel Pennsylvania is the ideal choice when visiting New York.